Before you even worry about the chicken, you need to get your grill ready. 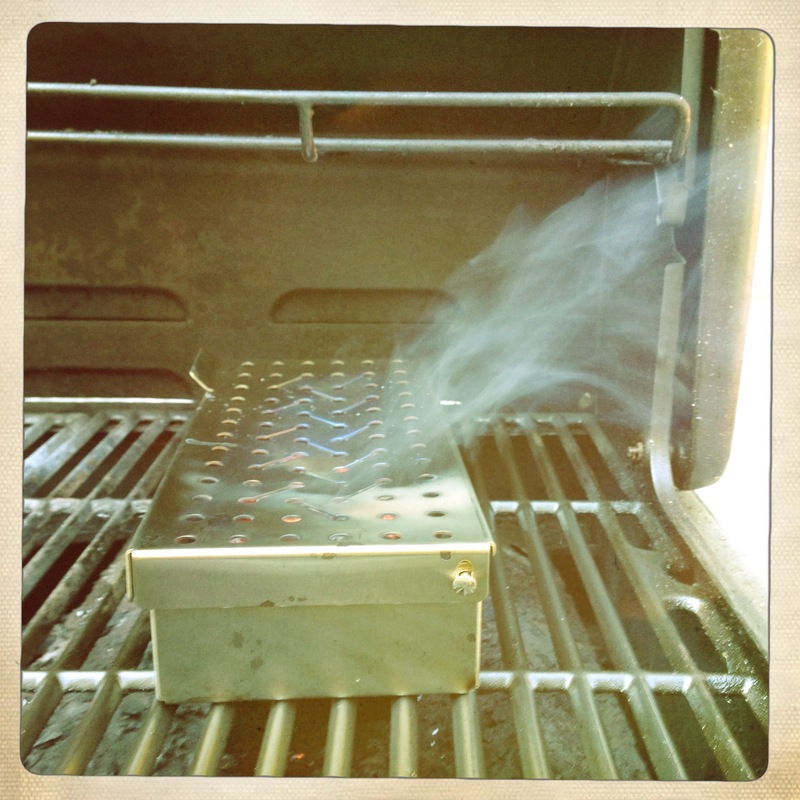 I do my smoking on a gas grill with a metal smoker box. As such, my procedure will refer to this setup when describing the smoking process. Start with good wood chips from a BBQ retailer (NOT treated/decorative wood chips – these need to be chips specifically intended for smoking). You will want to soak the chips to prevent them from going up in flames too fast. I soaked 4-5 handfuls of pecan chips in a mixture of water and an india pale ale. Water alone is fine here, but a beer or whiskey soak can add a nice flavor without adding alcohol to the food itself. Soak the chips for at least an hour. Once you’re ready to cook, start your grill on medium to preheat. Add about half the wood chips to the smoker box and place on the grill. Let the chips preheat in the grill for 10-15 minutes to allow them to start smoking. While the grill is preheating, remove the neck and giblets from from the chicken and rinse the skin and cavity thoroughly. 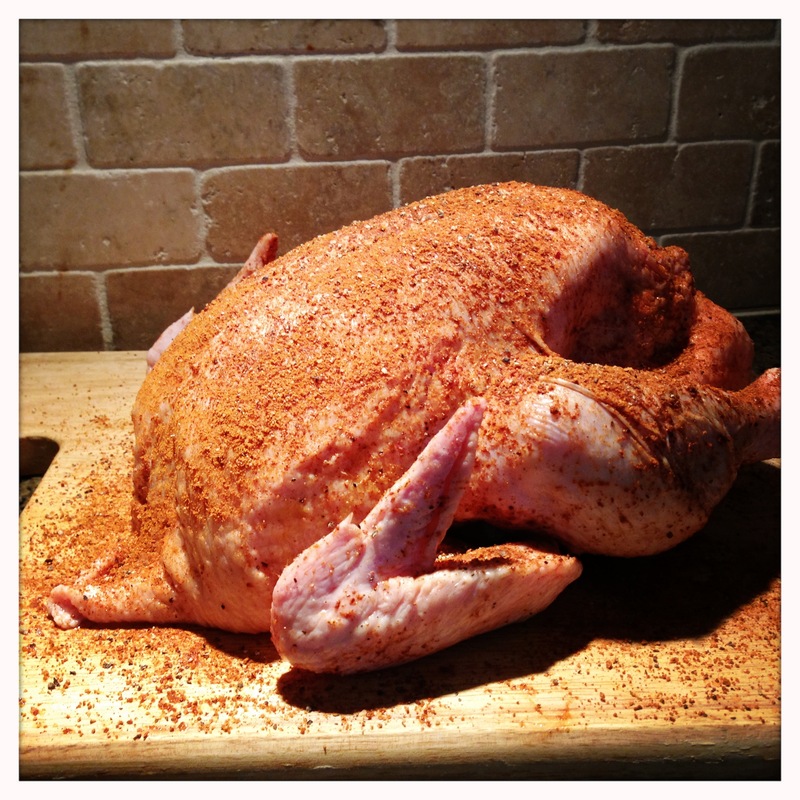 Pat the chicken dry with a paper towel and then season the chicken liberally with the dry rub, packing some under the skin as well as a good coating on the outside of the bird. I also added some rub to the inside of the cavity and a small, peeled whole apple as well. The apple is optional, but I think it adds some nice flavor during the smoking process. 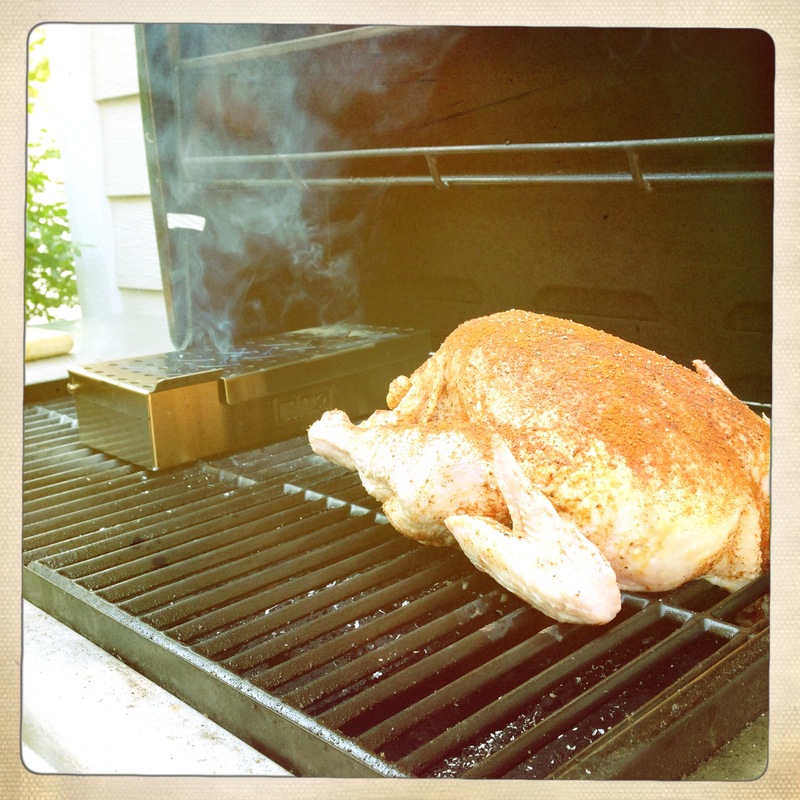 Turning back to the grill, turn off the burner(s) on the side of the grill you will be placing the chicken onto. Keep the burner(s) on under the smoker box, and try to maintain a temperature inside the grill around 300 degrees. Place the chicken breast side up. You will also need to replenish the wood chips periodically. Do this VERY CAREFULLY so as to not burn yourself. 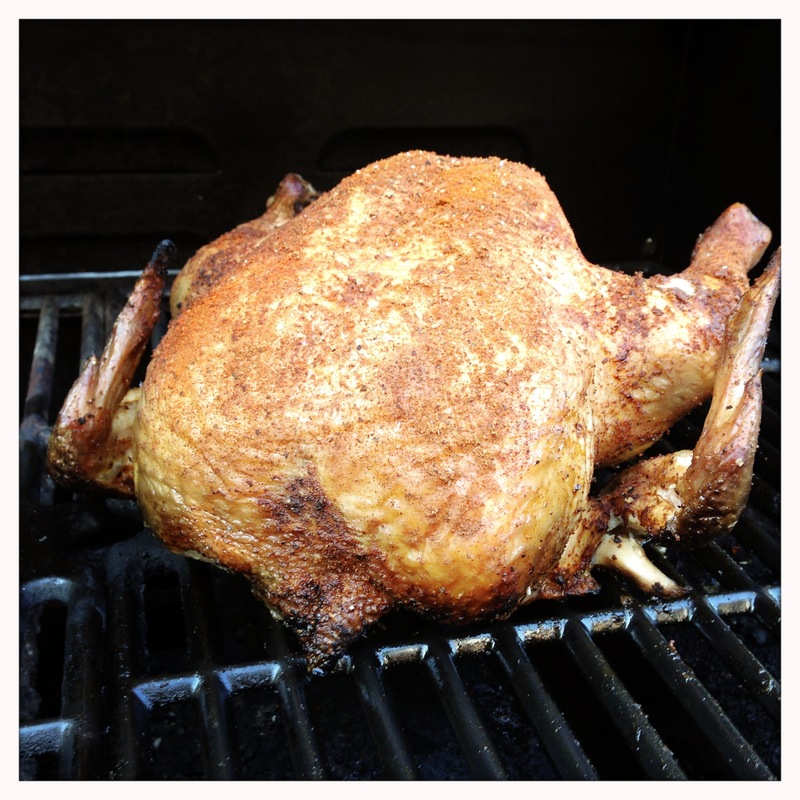 I turned the chicken a quarter turn clockwise each time I opened the grill so that neither side was always facing the hot side of the grill to ensure even cooking. Cook at this temperature for about an hour or so, and the chicken skin will start to slightly crisp and brown. After about an hour, my wood chips were all used up. I carefully removed the smoker box with a set of tongs and upped the heat to maintain a temperature closer to 400-425 degrees. 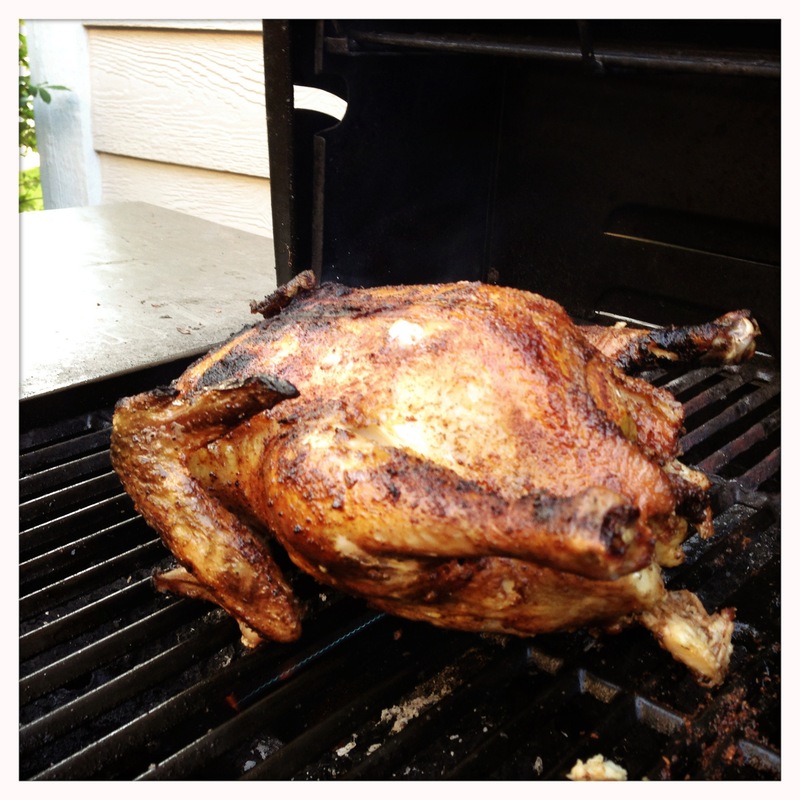 Continue to cook with indirect heat at the hotter temperature, still rotating the bird periodically, for about another hour. At this point, the chicken has been cooking for about 2 hours, exclusively with indirect heat. 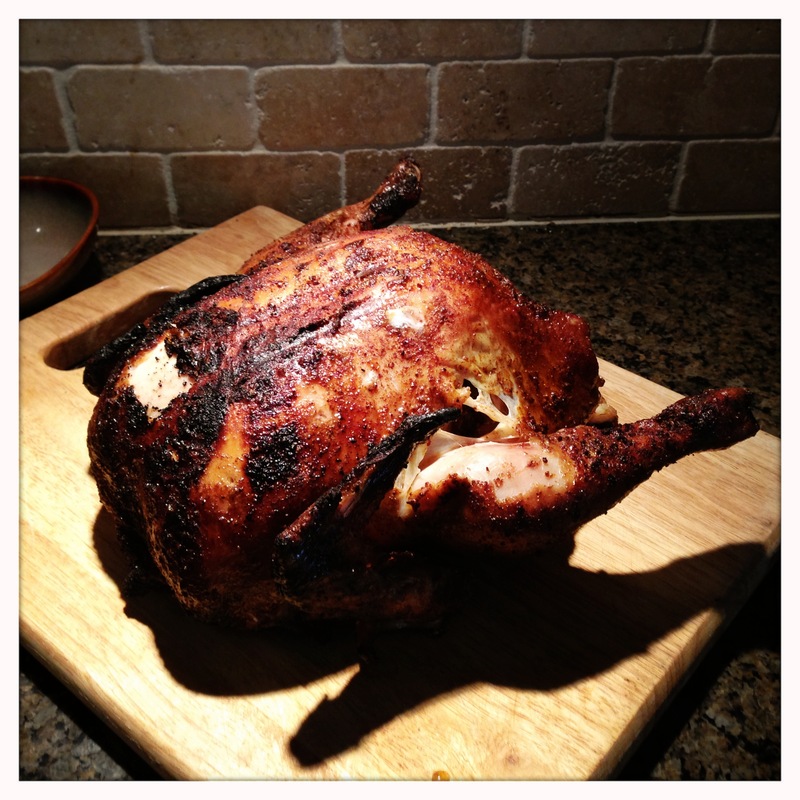 It probably needs another 20 minutes of cooking, but you can start checking with a meat thermometer. You’re looking for about 160 degrees in the breast, and 165 in the leg. During the final stage of cooking, I like to flip the bird over onto the breasts and grill directly over the flame. This gets some of the tasty char flavor everyone loves from grilled food combined with the super juicy and tender meat from the slow smoking process. This is optional, and does require a careful watch to avoid over-grilling and flare-ups, but I think it’s worth it. 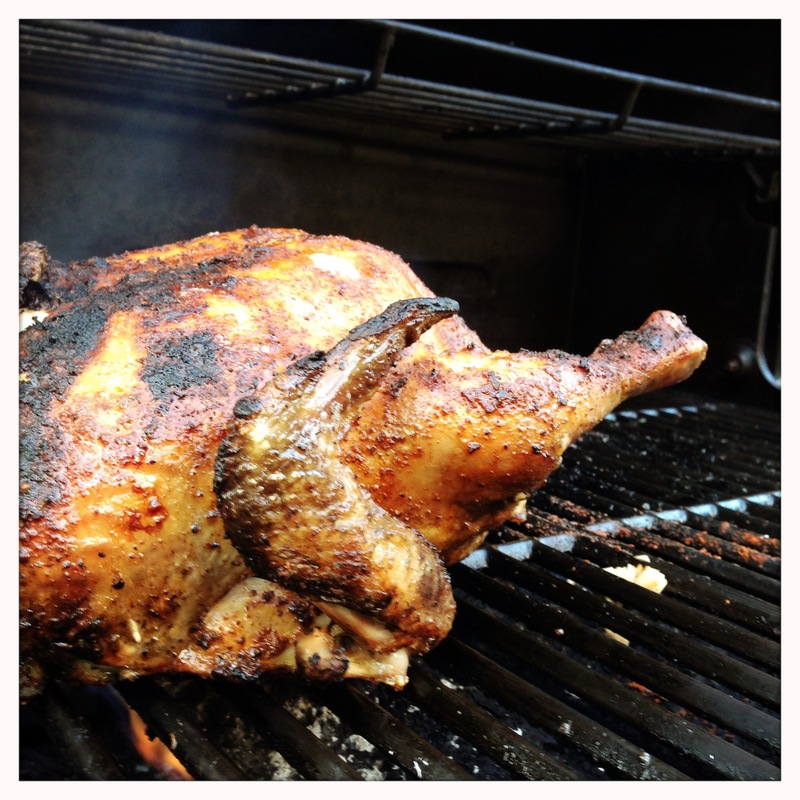 Once the internal temperature is at least 155 degrees, take it off the grill and let it rest for at least 10 minutes. It will continue to cook while it rests, and will easily get to 160-165 degrees. 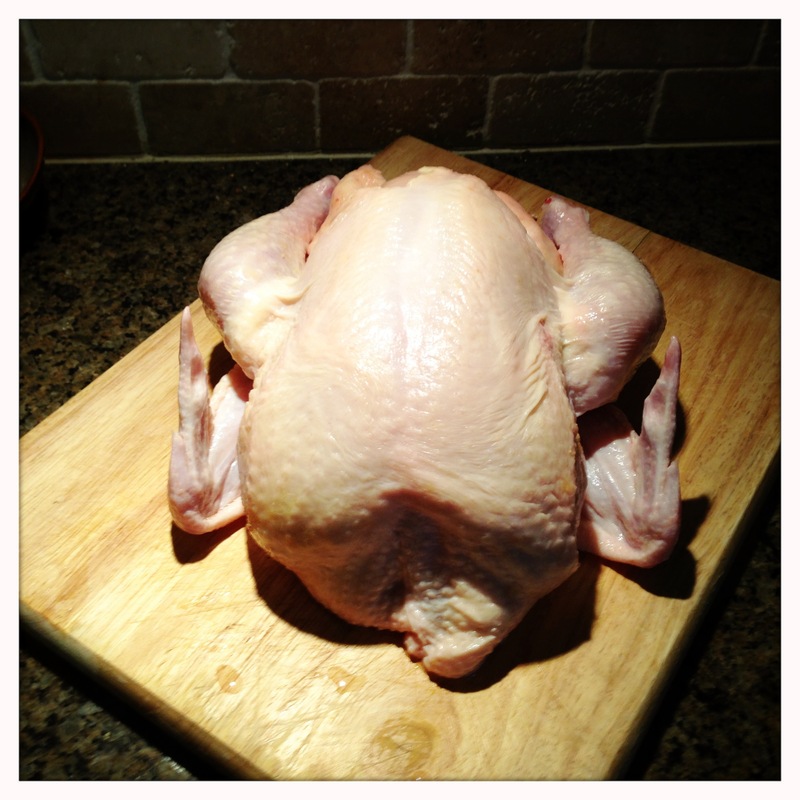 Resting will also allow the juices to redistribute and make carving much easier. Grilling is great. Smoking is better. There is nothing better in the summer than a slow smoked piece of meat that is crispy but tender, smokey and juicy, and just all around delicious. 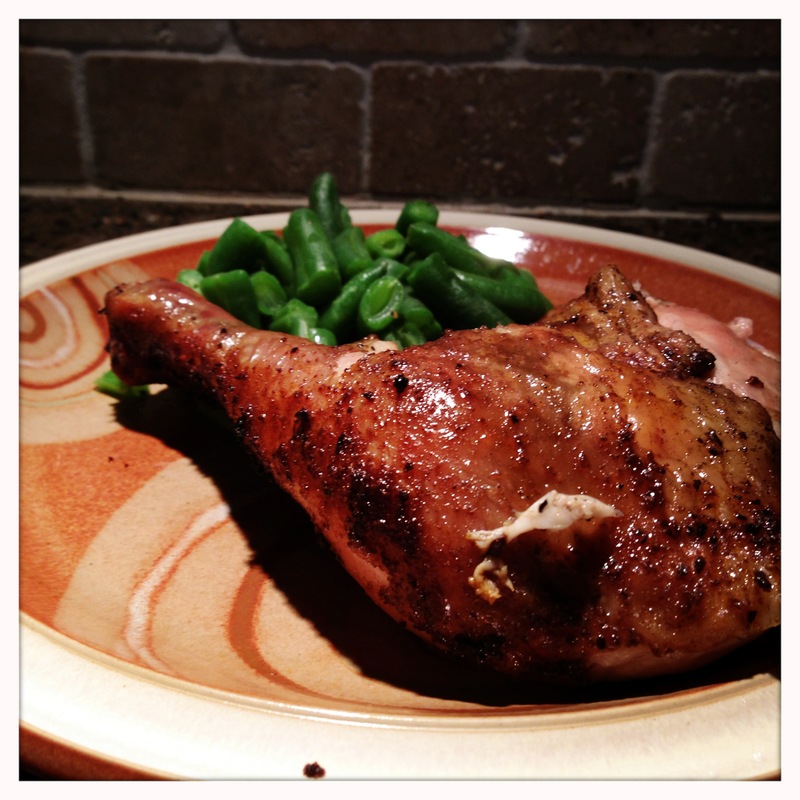 I’m a big fan of dark meat, which is convenient since Mrs. Eats for All Ages and our little guy both like the breast meat. Serve with some vegetables for a perfect summer dinner. Add a little BBQ sauce on the side if you wish or just appreciate the dry rub crust on its own. And, as always – Enjoy!